Ed Brown hex head grip screws are an easy way to improve the looks of any 1911. 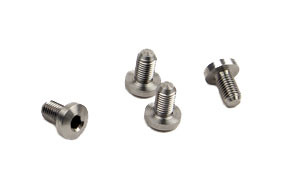 High quality tool steel hex head grip screws eliminate the potential for burred screw slots as in standard slotted grip screws. Designed to work with standard grips. 4 pack. Stainless.